Late Monday night it was revealed that Deputy Attorney General Rod Rosenstein told special counsel Robert Mueller in a classified August 2, 2017, memo that he should investigate allegations that President Trump’s former campaign chairman Paul Manafort was “colluding with Russian government officials” to interfere in the 2016 presidential election, prosecutors in the Russia probe. Mueller used the memo to defend his scope of the investigation against a recent motion Manafort filed to dismiss his case. But, the funny thing is that Mueller pulled out this memo to shut down Manafort’s claims that Mueller has stepped outside the jurisdiction of his duties. In doing so, he outed himself as colluding with Rosenstein. But, now, Manafort and his team are fighting back against Robert Mueller as well as the FBI. 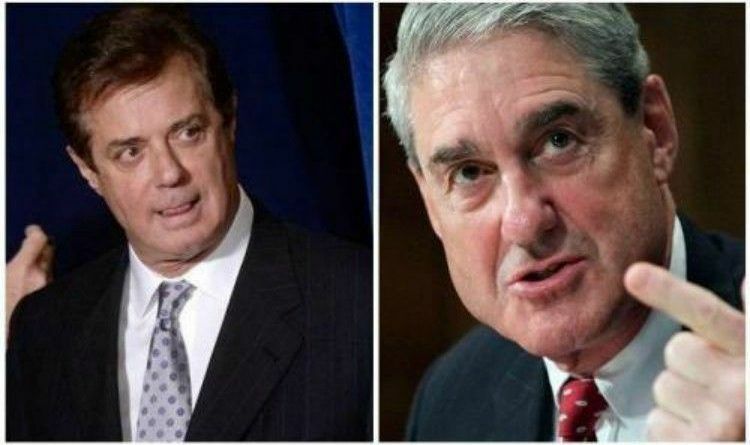 On Friday night, Trump’s former campaign chair Paul Manafort’s lawyers accused Mueller’s team of violating his Constitutional rights by illegally entering a storage locker belonging to Manafort’s firm. On May 27, a search warrant was issued for a storage locker which gave the FBI authorization to seize any financial or tax records relating to Manafort or his business partner Rick Gates. Via Politico: “The FBI first got into the Alexandria, Va. storage unit last May with the assistance of an employee who worked at two or more of Manafort’s companies, an agent told the federal magistrate judge who issued the warrant. Then, the agent used what he saw written on so-called Banker’s Boxes and the fact there was a five-drawer filing cabinet to get permission to return and seize many of the records. In a motion filed Friday night in federal court in Washington, Manafort’s defense team contends that the initial entry was illegal because the employee did not have authority to let the FBI into the locker. The defense also argues that the warrant was overbroad and that agents seizing records went beyond what limits the warrant did set. “The FBI Agent had no legitimate basis to reasonably believe that the former employee had the common authority to consent to the warrantless initial search of the storage unit,” attorneys Kevin Downing and Thomas Zehnle wrote. On Twitter, Politico reporter Josh Gerstein wrote that Manafort filed this motion 24 minutes before the deadline. What I find weird is how Mueller can fly to Russia and give the FSB a sample of the U.S. uranium the Clinton’s were putting up for sale, no questions asked. Now he’s running a witch hunt for “Russian collusion”. The hypocrisy is off the charts with these people. But, I am glad to see Manafort is fighting back. Mueller’s abuse of power has remained unchecked. Per Tom Fitton — ‘Mueller isn’t supervised on a day-to-day basis by any Senate-confirmed or otherwise accountable official in the Justice Department. This has resulted in an uncontrolled investigation by a special counsel into who knows what. All this helps explain why Mueller’s operation has been deep sea fishing in Ukraine, the United Arab Emirates and into the costs of Paul Manafort’s suits. If there is justice in the world both Mueller and Rosenstein will be behind the bars for the rest of their lives for the treasonous actions they have taken to bring down the president of the US! Liberals Claim That Child Is Dead In ICE Detention Center Due To ‘Negligent Care’ – ICE Immediately Responds To These Rumors!